To protect your privacy and ensure your online safety in the best possible way, it is essential to acquire a strong antivirus. Antivirus programs are available in many types and variations. But how can you find the best antivirus software, and how do you select it? You don’t need to investigate it yourself! Independent antivirus test institutes compare and test the various virus-scanners in order to find the best choice for you. We have summarised these data in the antivirus overview so you can choose swiftly. Last month we again tested 23 antivirus scanners for the Microsoft Windows 7, 8.1 package and the new version of Windows 10. The previous antivirus test took place in October 2018. Because there are more new antivirus packages added and existing packages with the latest updates and bug fixes equipped, we decided to test all the packages thoroughly again. The BullGuard antivirus 2019 was, for the second year in a row, tested as the best antivirus. 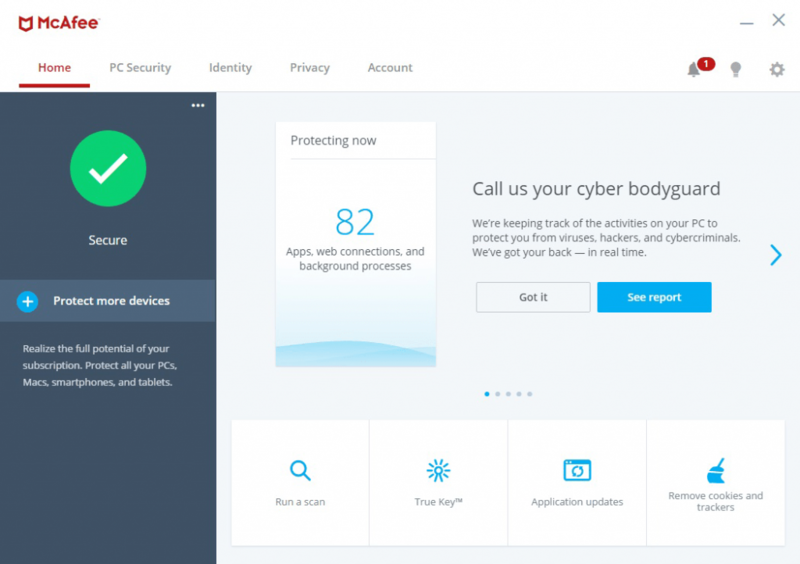 It is therefore recommended as the best antivirus for consumers, followed by Bitdefender antivirus plus 2019 and Norton antivirus 2019. The latest version of Norton antivirus managed to qualify in third place, beating McAfee antivirus 2019. We have tested only antivirus packages. For more information about the results of the test concerning internet security and total security, we refer you to the attached links. The antivirus ESET and Comodo scored very poorly in the test. McAfee has just managed to place itself in the top 10 antivirus protection with an average score of 90%. Very mediocre! Stability / PC impact load. For the item “protection / reliability” we have looked at protection against the latest malware and virus attacks (zero-day malware) and detection of very active malware. Furthermore we examined false and unjustified warnings during actions of the user(s). The point “removing viruses and malware” is tested with active root kits. This must be detected by the antivirus software and defused afterwards. For the item “Stability / PC impact load” we looked at the system load during the boot process and the actions of the user. BullGuard antivirus belongs to the top best antivirus software packages. BullGuard antivirus and Internet Security even made it to first place in the Internet Security test of this year. It is the most user-friendly antivirus software and is provided with a built-in spam filter. The software is very light and hardly slows down the computer. An absolute must! See link above for the full review. Bitdefender Antivirus Plus is one of the best antivirus software at present. The package is suitable for Windows 10. It achieved high scores in all areas of our test. It provides proper protection against ransomware, furthermore the package contains most security tools in the basic antivirus package. 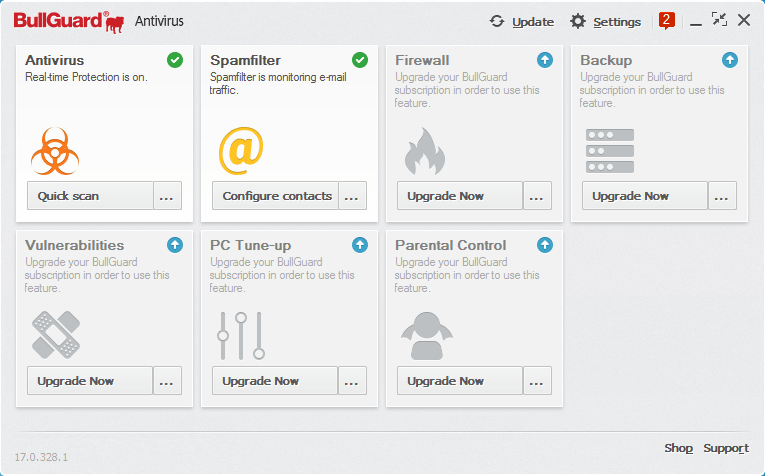 Click the link above for the elaborate review of Bitdefender Antivirus. Norton antivirus is perhaps the most famous antivirus software on the market. For years, Norton was known as the software that slows down your computer. Not anymore. The software is well made, after installation the system hardly functions any slower. Most alternatives utilise more resources of the computer. McAfee antivirus is a big player on the market. McAfee antivirus offers excellent protection against the newest malware end other malicious software such as, viruses, trojans and rootkits. This is all combined in a very simple/user-friendly interface. The antivirus works pleasantly, performs well and is easy to install. The basic product is a bit more expensive than most competition. Furthermore, there are no extra options included. The last few years, Panda Antivirus has made significant progress. The software itself is pretty basic, but performs well. Panda offers support 24 hours per day; 365 days per year. Due to the cloud technology of panda the software requires little of your computer or laptop. Latest viruses, Trojans, worms and other spyware appear every day. Nowadays, undefended computers are not just in a weak position, they are probably already infected. New coercions are camouflaged to bypass other security measures and specifically designed to catch your PC unexpectedly. The virus terrain has also changed. Viruses that used to be irritating troubles have changed into malicious threats capable of destroying your computer and pilfering your identity. The advantages of installing a basic security solution on your PC are clear; but the overall speed of your computer will slow down despite the costs you have incurred. Fortunately, modern antivirus software has not just enhanced their level of protection, it has meaningfully improved resource efficiency and overall speed. You can have essential protection without giving up your means. With innovative technologies and straightforward usability, antivirus software is inherently more effective. Say farewell to irritating security warnings and obvious slowdown; Up to date antivirus programs deliver continuous protection and can in fact speed up your computer. The new generation of antivirus software brought advanced experiential detection. Continuing to develop, the current lineup of antivirus products often incorporates further improved proactive protection with better performance checking and file-reputation analysis. Several of the products incorporate high level security and other advanced technologies to increase safety and suitability. From battery saving settings to gamer modes to integrated web-link scanners, antivirus applications are more multipurpose. On this website you’ll find an assessment of the best antivirus software, helpful articles on computer security, security tips and tricks, buying guides, videos and comprehensive reviews to help you make an informed decision. Two antivirus software products attain the best test results from Antivirus-Test:, Bitdefender Antivirus and Kaspersky Antivirus. All security software is not created equal. Like all consumer products, antivirus software has the good, the bad and the average. The choices for antivirus protection are many and varied. We feature the best antivirus software available today from a number of providers and compare them. When it really comes down to it, effectiveness and usability can either make or break antivirus software. Our top-ranked antivirus software combines optimal security with user-friendly features and tools. While most security solutions give multi-layered protection and 360-degree defence, some are more thorough than others. The best antivirus solutions will include traditional protection from viruses, worms, Trojans and spyware, but should also include defence from keyloggers, phishing scams, email-borne threats and rootkits. While antivirus programs are by no means full-blown internet security suites, they should protect from as many threats on as many fronts as they can. 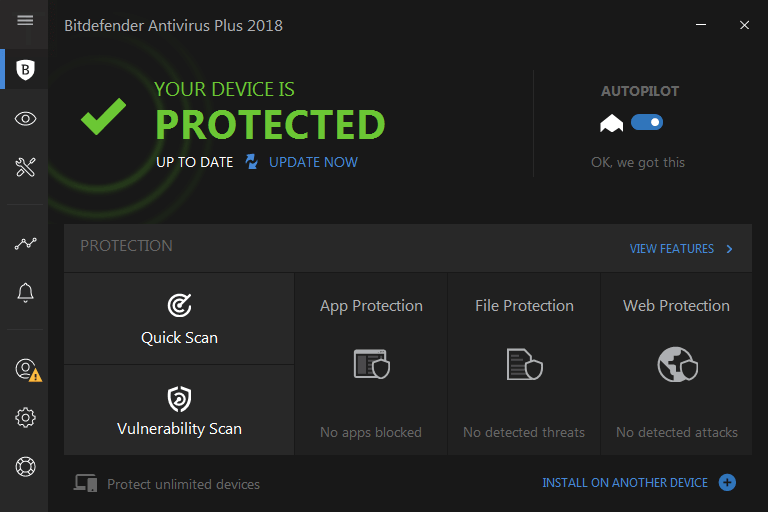 Antivirus is specifically designed to protect your computer. So if it doesn’t do that well, what good is it? All the features, bells and whistles and sleek interfaces can’t make up for poor performance. We look at results from the industry-standard security software testers and professional security organizations to find the most effective software available. Security software shouldn’t be a hard job to install and should have you protected as soon as possible. From download to install, to the first scan, implementing antivirus software should be quick and easy. Antivirus software is complex stuff, but shouldn’t require a degree in computer security. The best security programs have all the features security experts want, but are they just as easy for a beginner? Everyday computer users want a security solution that they can install and forget about; software that doesn’t require constant maintenance or have annoying interruptions. The best antivirus software is flexible enough to do exactly what you want to do (even if that means running by itself). A well-rounded feature set takes a security solution from ‘good’ to ‘great’. More than bells and whistles, added features provide security, usability and performance benefits. Security software is only as good as its latest update. Viruses are being identified and added to signature databases all the time. So it’s important that your virus definition list updates accordingly. 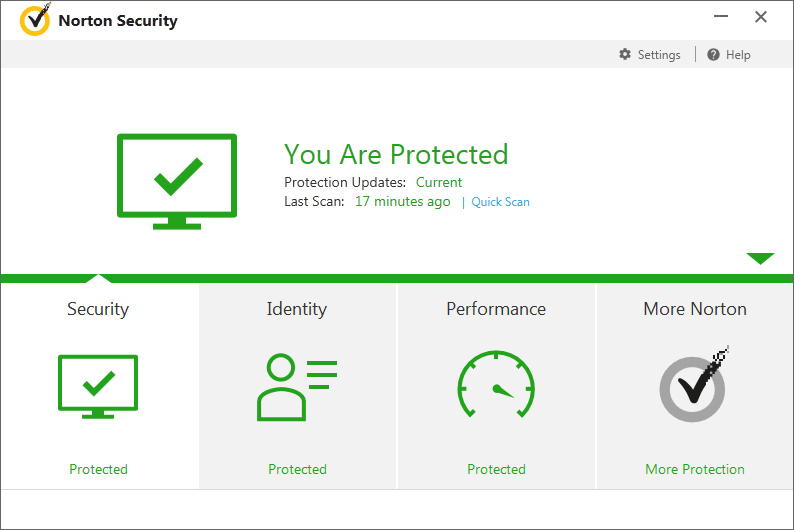 Modern antivirus software is equipped with automatic updates that perform regularly enough that you get faster updates that don’t slow down your system. The best security providers push updates to you as soon as they’re available. The best software doesn’t require reading an in-depth manual to use, but it still has one available. For specific questions, troubleshooting and additional help, the best antivirus manufacturers provide superior product support on- and offline. Additional support for software may come in the form of assistance over the phone, email, live chat or through a number of additional resources (knowledgebase, FAQs, tutorials). A well-balanced antivirus solution is effective, efficient and easy to use. 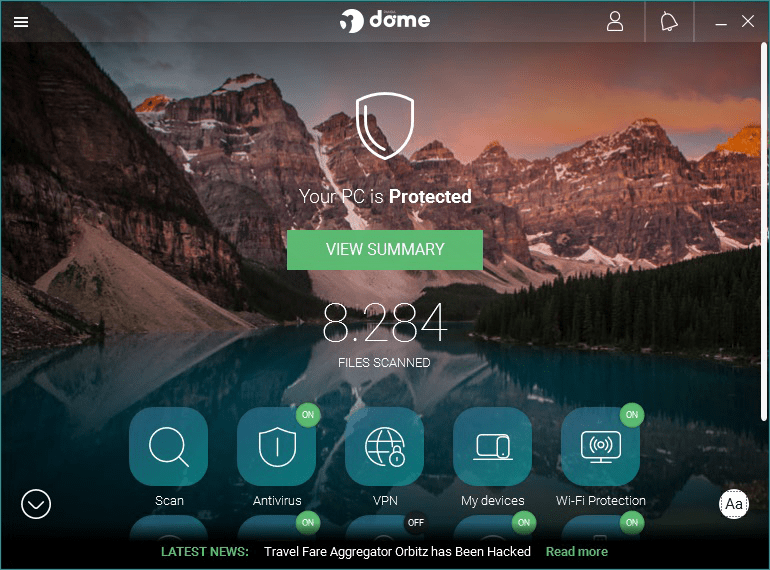 Combining all the right features with a usable interface, our top antivirus software choices deliver the best security and usability without a disproportionate serious investment in time, money or system resources. Below you will find the most common Internet threats. A browser exploit is a malicious piece of code of vulnerable software which can abuse your operating system with the aim to adjust the Internet Browser (Internet Explorer). Furthermore it has the intention of stealing personal information or infecting your computer with malware and viruses without your knowledge. A keylogger is a program or piece of hardware which can register the keystrokes to even the mouse movements of a computer user. So also passwords etc. These are viruses that spread themselves as attachment through e-mail. If your computer is contaminated it is likely that your computer also spread e-mails with viruses. As a result you will be blocked by your internet provider. In addition your IP address comes on a blacklist and all your e-mails will be blocked by servers. Phishing is a form of Internet fraud. It consists of defrauding people by luring them into a false (bank) website, which is a copy of the original website. People – unwittingly – login with their own username and password or their credit card number. This gives the fraudster access to their information with all its consequences. Misleads the user to pay money to remove threats and warnings which are fake. Often the fake virus scanners remain on your computer after paying. But they are relatively easy to remove. A root kit is a set of software tools that is often used by hackers. After having obtained access to a (computer) system, it nestles deep in the operating system, making the system unstable. The root kit is rarely to remove, and if this succeeds, the functions of the operating system will be damaged. Spyware is a computer program that steals information about a computer user; this info will be sent to an external party. Trojans do not use a weak spot on a computer. But they will be downloaded by the user himself. Often they are hidden in: pictures, movies, screensavers, programs etc. This feature can provide access to the infected computer and so damage private information of the user. URL spoofing is mimicking the URL, for example a bank, so the user thinks to visit the real site but in fact it is the URL of an impostor. A computer worm (or worm) is a self-replicating computer program. Worms operate independently. A worm exploits security holes, it spreads threats independently from computer to computer. What is an antivirus tested for? Here, we check whether the anti-virus software is easy to install by the user, what it does with the PC, what possible bugs might turn up, etc. In this area, we focus on protection against the most recent viruses, spyware Trojan Horses, and malware attacks, so-called zero-day malware. In addition, it is checked whether the anti-virus software is able to recognise active malware, and whether it is able to detect phishing. A further look is dedicated to unwarranted reactions that Internet security suites gave to specific files. All this to optimally combine security and user friendliness. If an anti-virus package is not easy to use for a regular user (someone with little to average PC skills) it’s application will not be optimised and so it will offer less protection. So this aspect has been studied carefully. An ideal situation is when, after setting up the anti-virus software, it continues to do its job autonomously. For ICT-professionals, numbers of extended options are an actual advantage, but for a regular user the software most of all must execute its functions in an easy way. In addition, it must be updated regularly. An ideal solution would be for the anti-virus software to update automatically without slowing down the computer. An anti-virus package shouldn’t merely propose the option of detecting malware and viruses, but also to immediately neutralise and eliminate them. Here, we take a look at the strain on the system during use of the virus scanner. You don’t want to slow down your computer while the virus scanner is running. Besides the product itself, attention is given to the service offered. Is a comprehensive manual available and is there a support team that can be reached in various ways? All of these aspects are considered. There are two big players on the market for virus scanner testing: AV-Test and AV-Comparatives. AV-Test is a German research institute that has conducted excellent and independent anti-virus tests for over 15 years. All top-brands on the market strive to obtain an AV-Test Certificate, and hope to feature among the top results of this institution. AV-comparatives is an independent organisation, specialised in determining whether the marketing claims for virus scanners are actually true. They’re known for their real-world test environments for virus scanners. For this reason, it is very important for businesses to obtain an AV-comparative certificate. Now you know which anti-virus software is qualified best, but making the right choice starts only now. Selecting an anti-virus package from this list is never mistaken, but if you’d like to take a look beyond it, do try to keep in mind the aspects for which an anti-virus is tested. Antivirus or rather a complete security package? Whereas in the past anti-virus software amounted to fine protection for your computer, the ever increasing amount of time spent online render a complete security package all but an unnecessary indulgence. How many hours a day is your computer/mobile device connected to the Internet? A security package is complete protection. You name it: anti-virus, anti-spyware, anti-rootkit, firewall, data protection and parental control. An Internet-connection allows malevolent users to penetrate your computer without you noticing. Install a firewall and close all open gates. The firewall checks all incoming and outgoing files. When a program wants to connect to the internet, the firewall asks for your permission. Almost everybody is familiar with e-mails that invite you to click a link to insidiously install spyware on your computer. Or the spyware travels along while downloading files from malicious websites, or with peer-to-peer files that are infected. As its name suggests, spyware steals the user’s log-in data and personal information, after which the major damage can be caused. Who hasn’t heard the stories about thousands of euros scammed through Internet banking? Install a spyware scanner to eliminate this threat. TopReviews is a comparison site mainly focusing on internet and security software such as antivirus software.